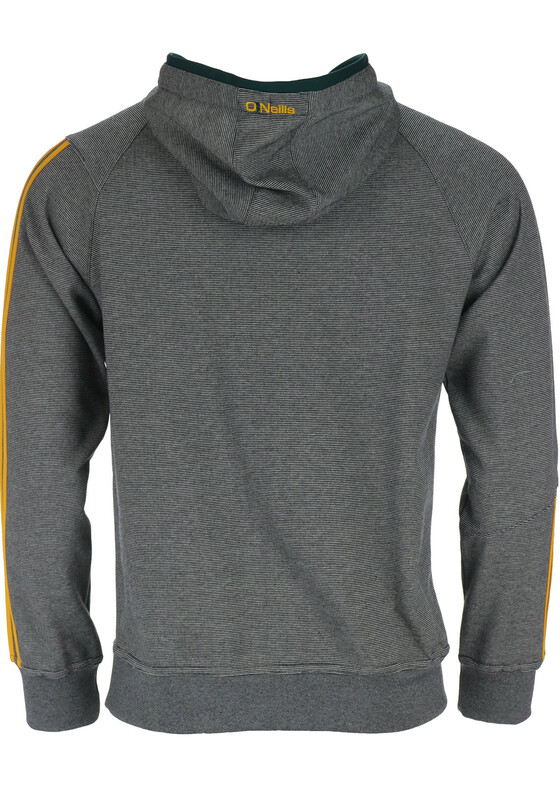 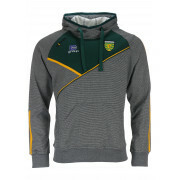 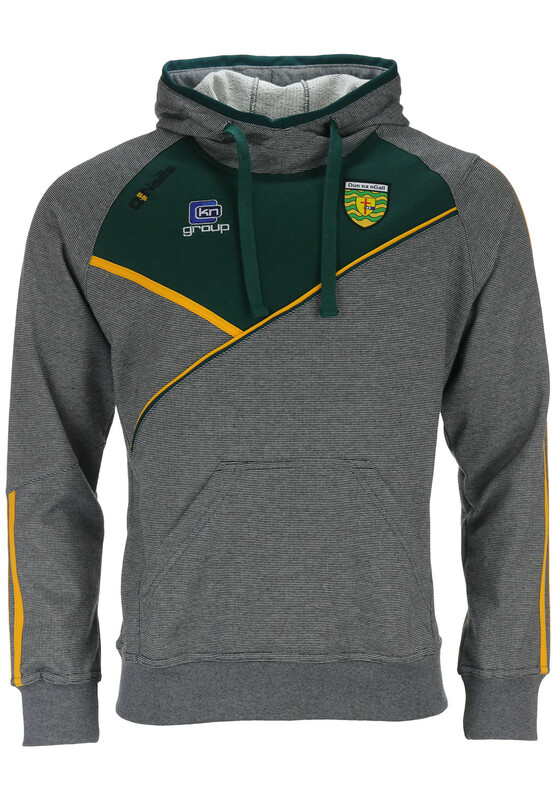 Show off your support for the team with the grey Donegal GAA Conall hoodie from O’Neills which is perfect for off-duty days. 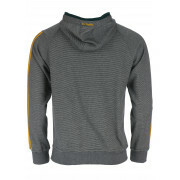 Made from soft and comfortable cotton rich fabric with a grey marl pattern throughout and green panel on the chest. 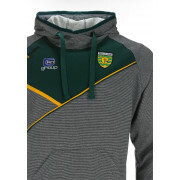 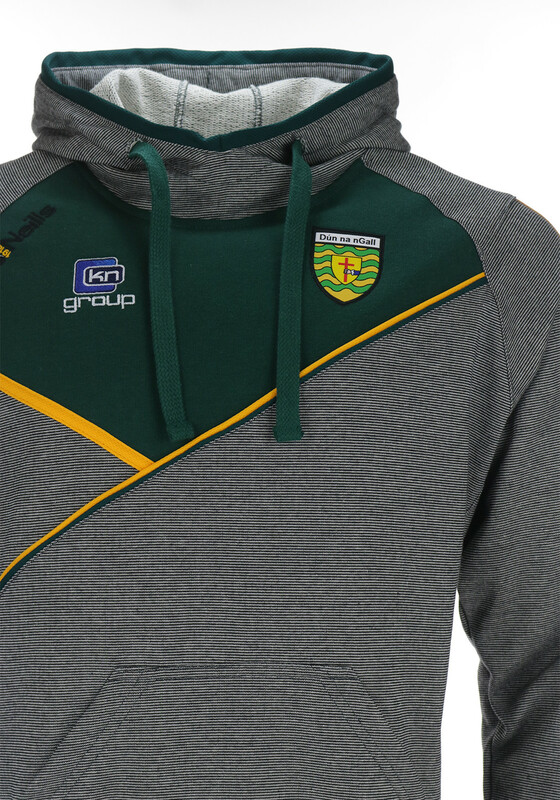 Other details include a hood with drawstring cord, logo stripes on the sleeves, kangaroo pocket and embroidered KN Group logo and Donegal crest.